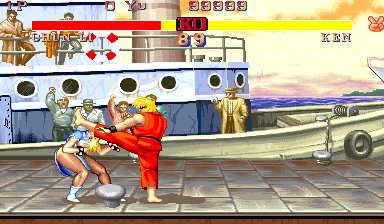 OverviewStreet Fighter II': Champion Edition is the first update to Street Fighter II, balancing the gameplay while allowing both players to pick the same character (and even the final bosses). Now you can add videos, screenshots, or other images (cover scans, disc scans, etc.) for Street Fighter II': Champion Edition (M6, bootleg) to Emuparadise. Do it now!